Description: If you keep getting locked out of your account after changing your password or having your password reset. Please follow the instructions below. Sometimes after having your password changed, it can causes issues with your account on the computer. Rebooting can help solve these issues. 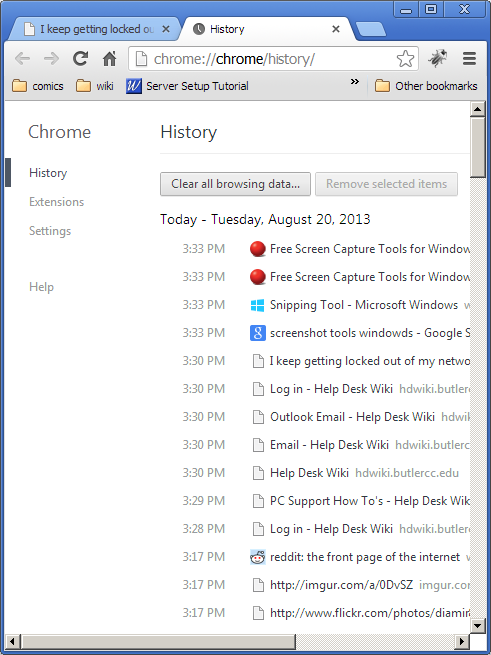 start Firefox and click the Firefox button in the upper left. 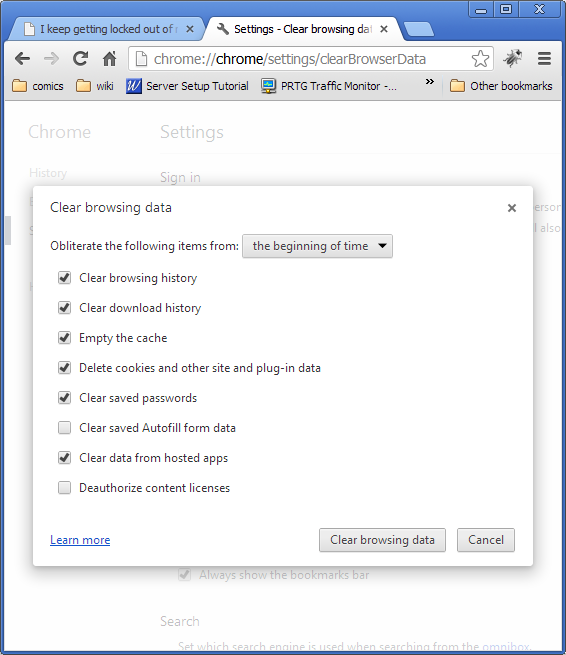 Change time range to "Everything" and check "Site Preferences"
Click clear now and restart Firefox. This page was last modified on 20 August 2013, at 17:00. This page has been accessed 69,741 times.